The word "verkoudheid" is used for a person’s state of being ill due to the inflammation of the nasal membrane, as in "having a cold". The noun "cold" as the opposite of "heat", translates to "kou" while the adjective "cold" is translated with the adjective "koud". The state of having a "verkoudheid" is also indicated with the adjective "verkouden", however in Dutch one uses the verb "zijn" ("to be"), see ‘Examples’. 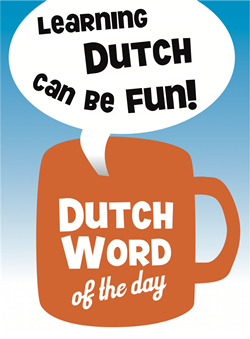 Mark the plural form of "verkoudheid": words ending with "-heid" have their plural form ending with "-heden". – "Ik heb vannacht nauwelijks geslapen door een zware verkoudheid." – "Veel mensen zijn deze tijd verkouden." – "Heeft Frank de griep of gewoon een zware verkoudheid?" – "Snotteren": to snivel, to sniff(le). This entry was posted in Dutch word of the day, DWOTD 1.0, Vocabulary Basic and tagged verkouden, verkoudheid by Dutch Gurus. Bookmark the permalink.